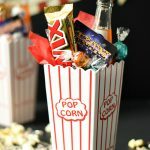 A Peek at the Fun: Want to surprise someone this Halloween with a creative Halloween gift basket? 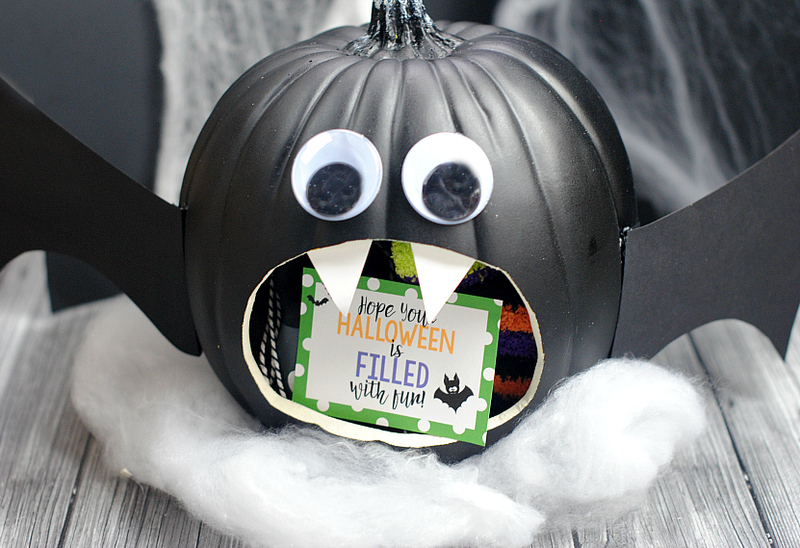 This one has goodies stuffed inside a cute bat mouth, making it super fun and creative. 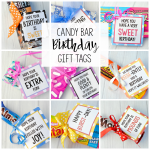 Fill it with anything you want and include this cute free printable tag! He’s got a mouthful of Halloween fun! You could fill him with candy and treats or little things like socks, stickers, pencils, nail polish, cute band-aids, glow sticks or anything cute. We found a bunch of things in the dollar spot that were perfect. Cute right? 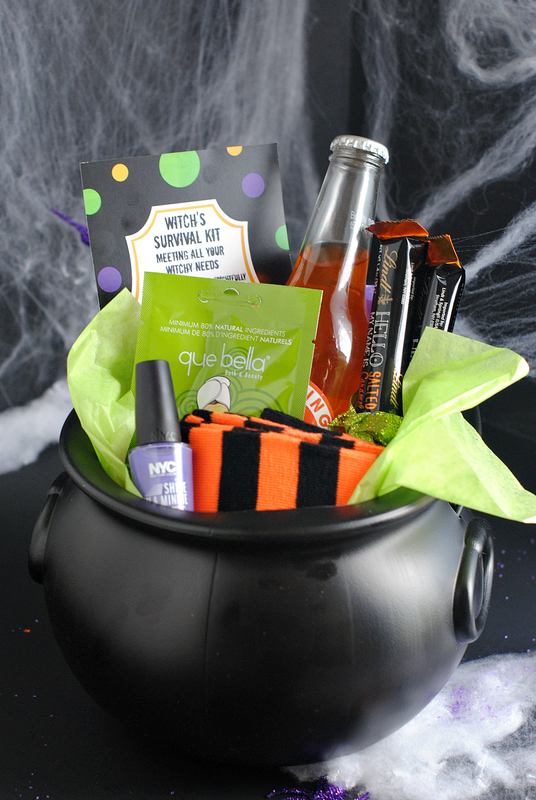 Who would you give this Halloween gift basket to? 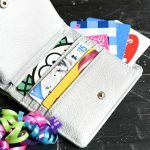 Got someone in your life who will love it? Mark a circle for the mouth opening on your pumpkin. Cut along the line you just made. Cut your wings from black cardstock. (There’s a pattern above if you want it.) Cut your fangs from white cardstock. Use hot glue to attach the eyes, wings, and fangs. 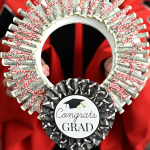 Fill the opening with all your goodies. Then attach this cute Halloween tag. You can either right click and save and open in a program like Word or Pages and size how you want then print, OR you can print the PDF below that has several tags ready for you on it. 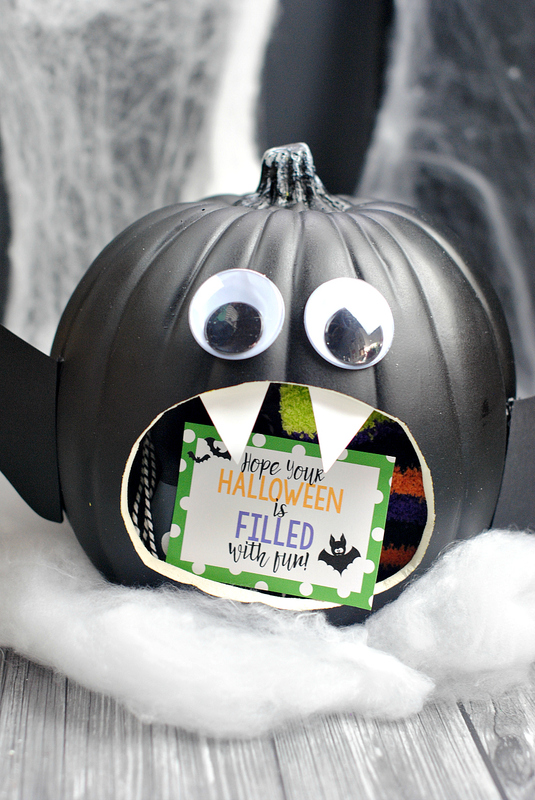 Now make this cute Halloween gift basket and give it to someone special! 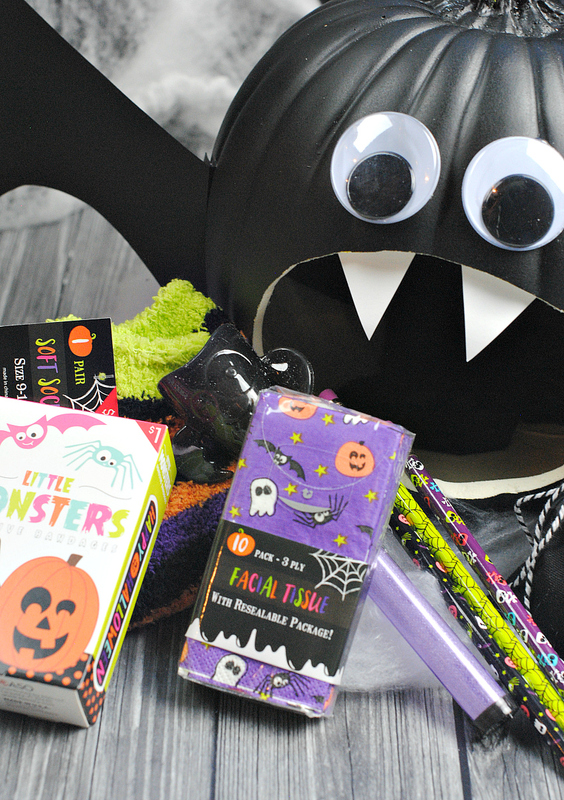 Have FUN giving this Halloween gift basket! I do not see the pattern for the bat wings? Sorry about that! Got that fixed!